Bourgtheroulde Hotel is a historical monument from the 16th century located in the heart of Rouen, the former capital of Normandy, and is part of our Sight-Sleeping iN France Collection. 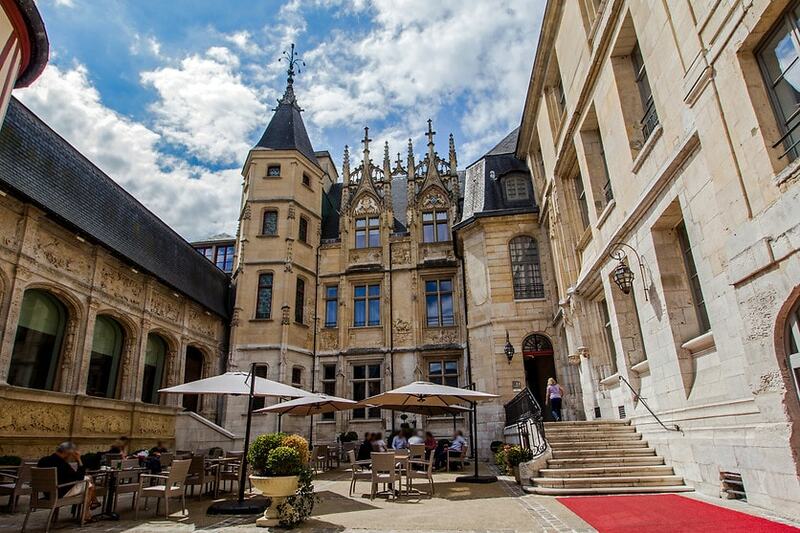 Part of Marriott’s Autograph and the iNSIDE EUROPE Sight-Sleeping Collection, Hotel de Bourgtherolde iN Rouen, welcomes our travelers in a one-of-a-kind setting. This boutique hotel features a modern bar inside the atrium and a café in the historical courtyard, plus a gourmet restaurant and uber-modern spa complex. Hotel de Bourgtheroulde is part of Marriott’s Autograph Collection and an iNSIDE EUROPE sight-sleeping favorite iN Normandy, France. This one-of-a-kind historical complex is a great example of how modern architecture can blend in with and help preserve the original architecture. Take a virtual visit of Normandy’s unique 5 star historical spa hotel, here.